During a Kenya Bankers’ CEO chat on Friday, it was revealed that local banks would, through the Kenyan Bankers Association (KBA), soon launch an Inuka initiative for small and medium enterprises (SME’s). Accelerated lending to SME’s was one of the pledges that the banks had set out to accomplish ahead of the passing of the interest rate capping bill of 2016 by Kenya’s parliament as it edged closer to becoming a law. The banks committed to set aside SME support facilities at all banks that would channel Kshs 30 billion to SME’s and a third of that would go to SME’s owned by women and youth. These firms would borrow at a concessionary rate not exceeding 14.5% and banks would progressively report, each quarter, on their allocations, SME loan uptake, and loan performance. But the interest rate cap did pass, which resulted in SME’s borrowing at the same level of interest that the banks had pledged. Other commitments that the banks made and which they have fulfilled include ending the practice of account oolong charges, and they also rolled out the KBA cost of credit web site and calculator to enable bank customers to properly assess the cost of loans offered, with the impact of bank fees, before they commit to borrow any money. After the chat with I&M Bank CEO, two more KBA CEO chats are scheduled in that next few weeks with the CEO’s of Dubai Islamic Bank Kenya on 29th September and of Family Bank on 6th October. This entry was posted in KBA, SME solutions on September 23, 2017 by bankelele. On Friday the Treasury Cabinet Secretary launched the second tranche of M-Akiba, the government bonds that can be bought and traded via mobile phone. The first tranche of M-Akiba, worth Kshs 150 million was launched in March 2017, and marked at 10%, maturing in April 2020. They had their highest trading day on May 12 when about Kshs 345,000 was traded; usually, about Kshs 100,000 per day ($1,000) of M-Akiba are traded by investors so far. At the time of launch, the indication was that another Kshs 4.85 billion was to be raised in June 2017. The new M-Akiba infrastructure bond issue (MAB2/2017/3) is targeting Kshs 1 billion (~$9.7 million), with a green shoe option to raise another Kshs 3.85 billion. These are also three-year infrastructure bonds (dated 24 July), paying 10% per annum, with interest paid every six months, and the minimum investment is, again, Kshs 3,000 (~$29). Payments for the new bonds will be done on mobile money such as M-pesa (by dialing *889#) as well as through Pesalink – a new service from Kenya banks that allows their customers to make payments via phone and mobile money transfers of up to Kshs 1 million (~$9,700) per day – which is seven times greater than what they can do with mobile money, under current banking rules (set to prevent money-laundering). The deadline for investors to apply for the M-Akiba bond is July 21, and the trading commission for will be 0.1% of allocations. EDIT (July 23 Nation): MAB2/2017/3 has been extended to 8th September and the bond will start trading on 12th September. It has been reported that investors bought Kshs 128 million before the initial deadline, and the newspaper notice of the extension mentions that these invests will be paid for interest earned between July 24 and 11th September. EDIT February 22, 2019: A new tranche of M-Akiba bonds will be on sale from February 25 to March 8, 2019, with the Treasury targeting to raise Kshs 250 million by offering investors 10% interest. The bond targets investors who can put in as low as Sh3,000 via their mobile phones then lock it in for a period of three years. They then earn interest after every six months and principal amount upon reaching maturity date. Those wishing to exit early can do so through Nairobi Securities Exchange where the bond will trade on the secondary market. ‘Akiba’ means ‘savings’ in Swahili. This entry was posted in KBA, M-Pesa, NSE bonds, NSE investor awareness and tagged Bond, debt on July 1, 2017 by bankelele. 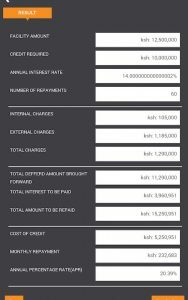 Last week, the Kenya Bankers Association (KBA) in conjunction with the Central Bank of Kenya launched the cost of credit loans calculator feature. 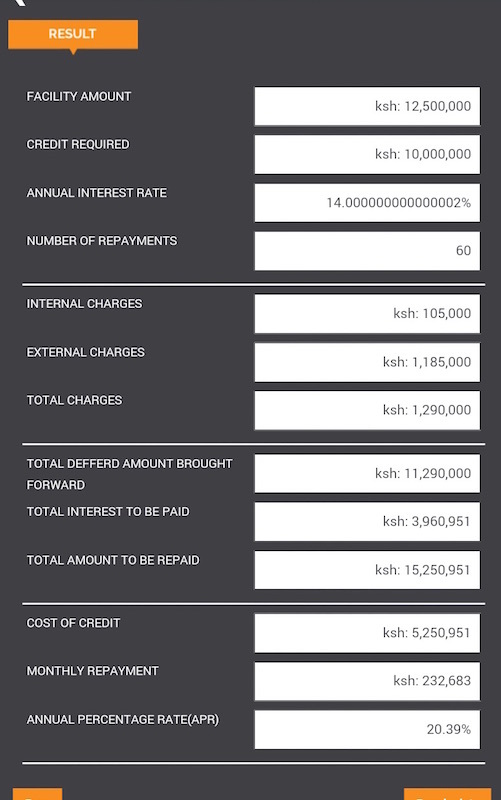 It is available on the KBA website and as an app (in the google store) and one important feature is that it allows borrowers to see the annual percentage rate (APR) – the true cost of a loan, which can vary greatly from the original loan interest rate that is advertised. It also enables customers to download repayment schedules and see the entire amount that has to be paid back to a bank (the total cost of credit). Many loan customers pay their installment and get to what they consider the end of the loans only to find they owe a bit more. This is because they only go by the amortization rate (schedule of principal and interest) but leave out other charges and fees which are incurred in securing the loans – such as legal fees, insurance, government taxes and fees, valuation, security and other loan fees. At the time of drawing a loan, there’s a temptation to forego paying many of these upfront, and ask the bank to add the myriad charges on to the loan – but these can add up over the duration of the loan. This comes after an earlier attempt by the KBA to get all banks to price their loans around a single rate – the Kenya Bankers Reference Rate – KBRR. This was abandoned after interest rate caps law was passed in 2016. This entry was posted in bank charges, CBK, KBA, SME solutions on June 27, 2017 by bankelele. 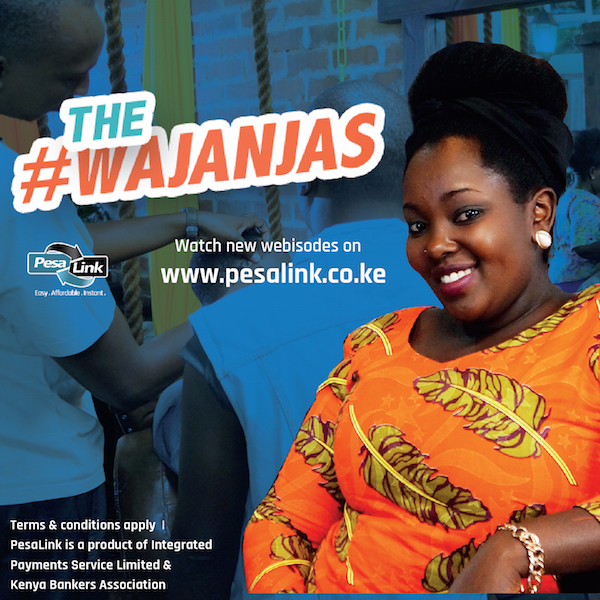 The Wajanjas is the name given to the pre-launch activities of Pesalink which was unveiled three weeks ago. Pesalink is an initiative of the Kenya Bankers Association that may be the next revolutionary thing in Kenyan banking. Already 20 commercial banks have activated it. While it may appear to be a reaction to mobile money, and m-pesa, Pesalink is actually a reaction to the banks’ own customer habits and the prevalence of the mobile phone – and recent bank internal numbers show customers moving from branches to phones. According to Barclays Bank, its customers did 43% of their transactions at their branches in 2016 down from 59%. At KCB, 75% of customers use mobile phone banking services and 91% of loans transactions are processed on phone, while at Coop, just 25% of transactions were done at branches at branches in 2015. One of the main bank activities now is customers performing real-time cash transfers and payments. This is done by customers going to ATM’s or getting cash which they then upload to mobile money to be sent to a recipient, who then withdraws cash at an agent, and probably re-deposits it into a bank. But all that changes with Pesalink which short-circuits the long chain as transfers can be initiated at by phone (USSD / bank app), at a bank branch/agent, or bank ATM or over the (bank) Internet – and sent to any recipient registered at any of the 20 banks. This will also lower the costs of transacting. For the consumer, it currently costs a lot of money to send money, and Equity Bank CEO, James Mwangi, said Kenyans spent 59 billion to transfer money last year, but that figure should come down with Pesalink. In addition, the mobile money limits of Kshs 70,000 per transaction and Kshs 140,000 (~$1,400) per day don’t apply here. 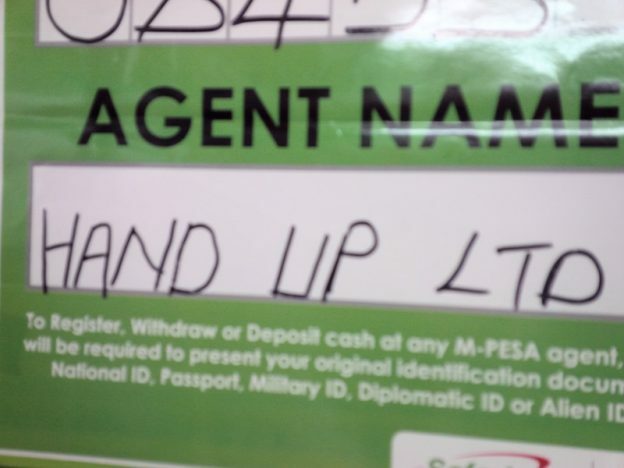 Pesalink limits are similar to that of bank cheques – which can go up to Kshs 1 million shillings (~$10,000). This is very useful when there are events like fundraisers, weddings, and (unfortunately) funerals. These are often expensive affairs where as soon as funds are raised they have to be disbursed quickly to service providers. Another useful feature, that’s finally here, and which mobile money has failed to incorporate, is adding in the reason for a transaction. You can tag each payment with a useful message as to what it is for “bride car hire” or “apartment F6 water repair” and this helps account holders to track their mobile money transfers over time. Try out Pesalink at your bank, by designating your phone number, and your primary bank account number. NIC Bank has some nice menus (PDF) that explain how simple it is to use Pesalink. This entry was posted in bank service, KBA, M-Pesa and tagged Wajanjas on March 13, 2017 by bankelele.